It's no secret that even minute complications in pregnancies can lead to a miscarriage or stillbirth in women. And while millions of women worldwide suffer from the heartache of losing their babies, a new study has found that this could all be prevented. As per research, consumption of fish oil by pregnant women can protect the health of their unborn babies, and thus can spare these women the pain of losing their children. Fish oil contains omega 3 which is a compound that can aid the health of unborn children. While a miscarriage can be caused due to multiple factors, the most common reason for it to occur is due to bleeding gums. During pregnancy, a woman's body undergoes lots of changes which can cause inflammation in certain parts of the body including the gums. F.nucleatum is a bacteria which is naturally present in the mouth, but due to bleeding gums, this bacteria can enter the bloodstream, cross the placenta and then cause inflammation which can lead to a miscarriage or stillbirth. "This type of bacteria is ubiquitous, everybody has it in their mouths. The problems start when it travels to other parts of the body," said the lead researcher. Omega-3 fatty acid supplements are already widely used to reduce inflammation in chronic health diseases like rheumatoid arthritis and heart disease. Some other studies have even suggested that consuming fish oil even could protect unborn children against allergies. 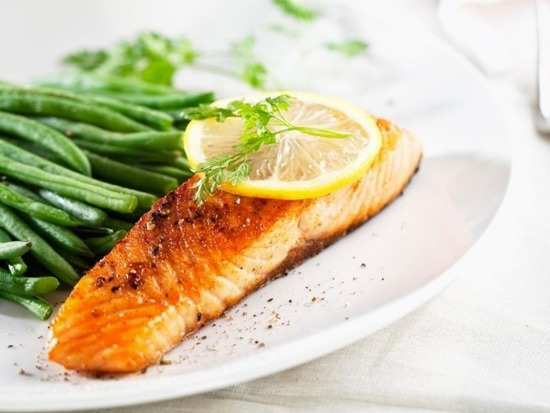 This is why more doctors are recommending that women should consume fish like salmon and mackerel during pregnancy as these naturally contain omega 3 compounds. Stay tuned for more updates. 3Pizza or pasta? Which is the healthier one? 9Can scientists replace batteries in pacemakers with the heart's mechanical energy? 10Men don’t open up about their mental health. Why?